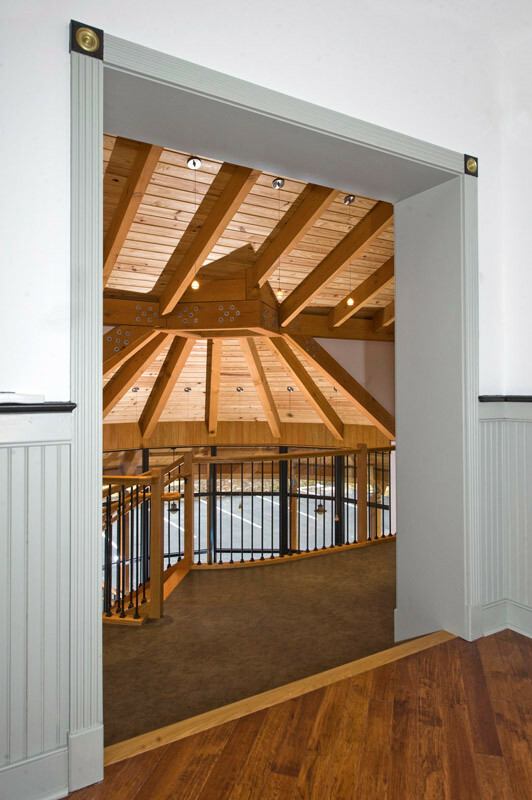 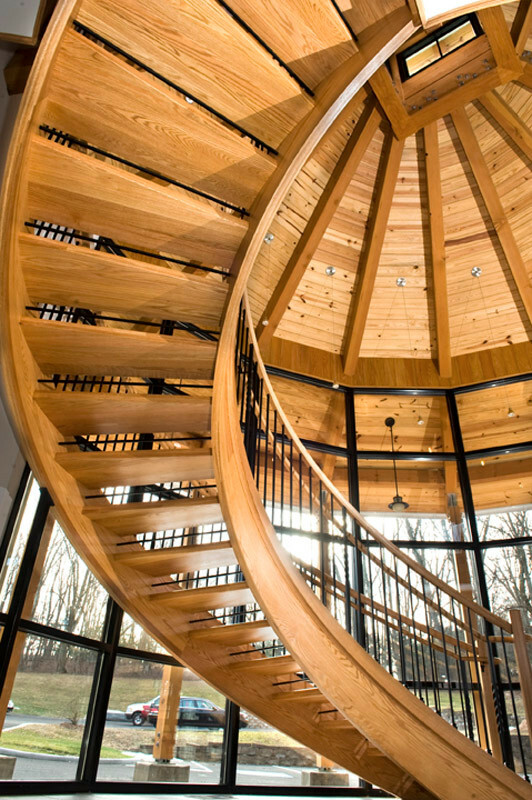 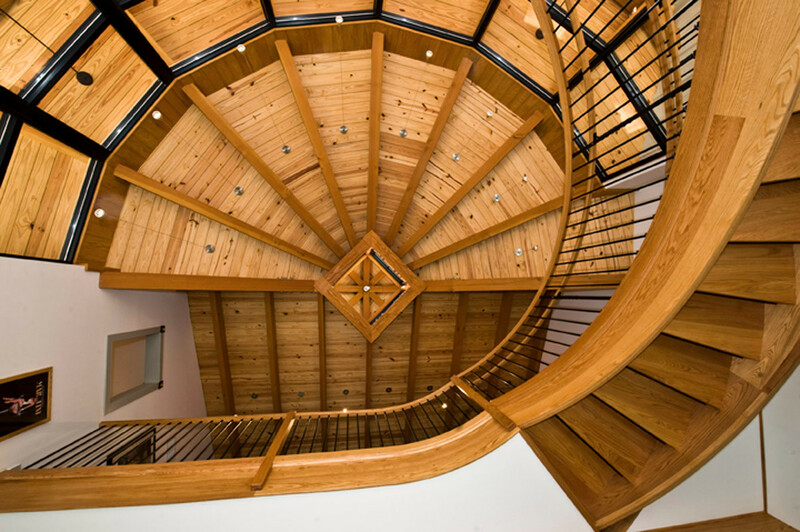 Hugh Lofting Timber Framing - Northlight Advertising, Inc.
To craft Northlight’s new national headquarters in Chester Springs, Pa., a former one-room schoolhouse and township building were fully renovated. 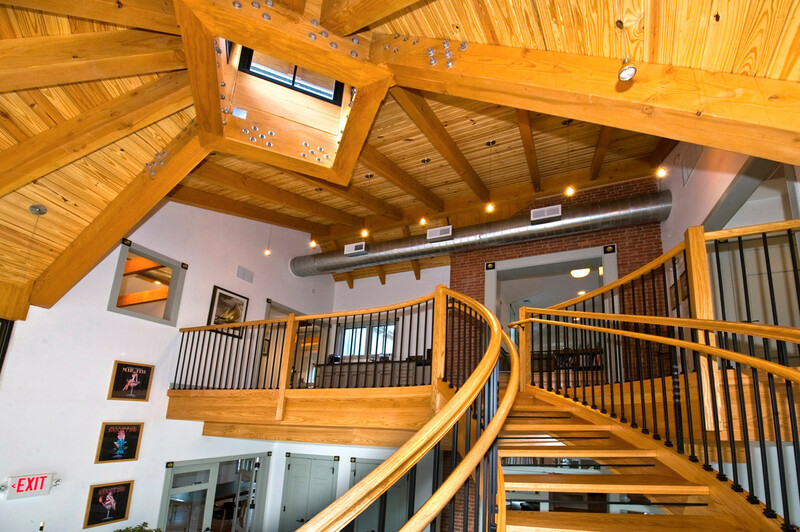 A 3,500-sf addition complements the historic 1907 brick architecture and serves as a new entry and rear lobby. 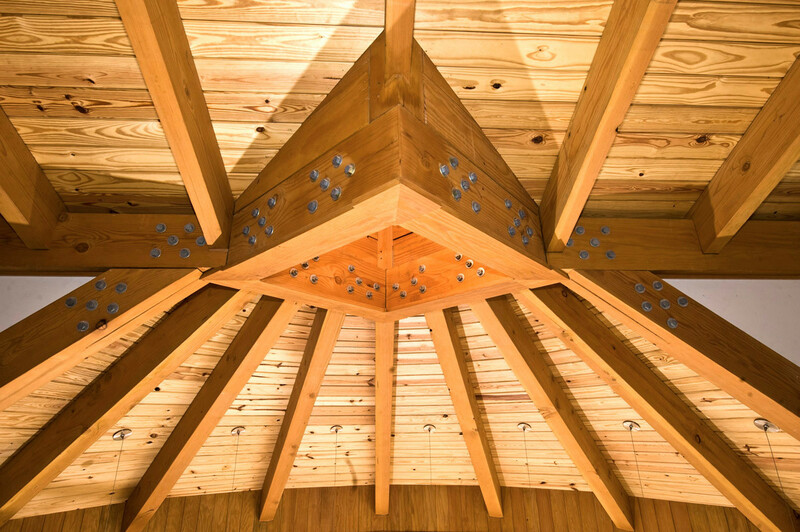 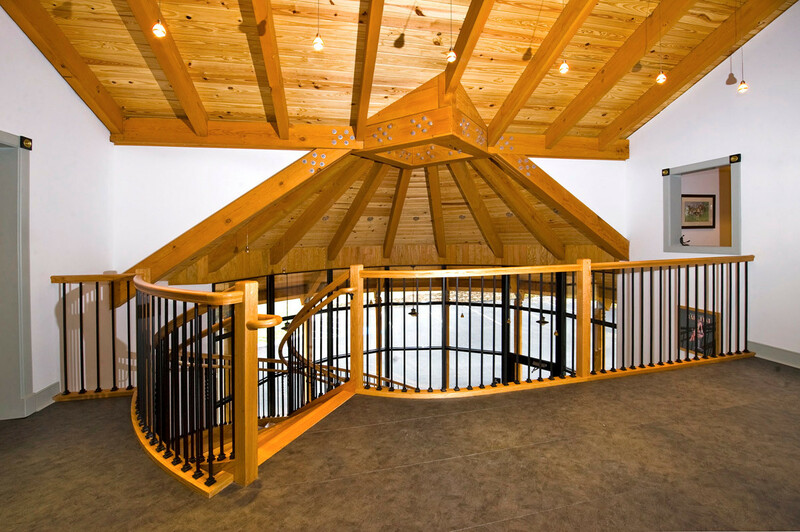 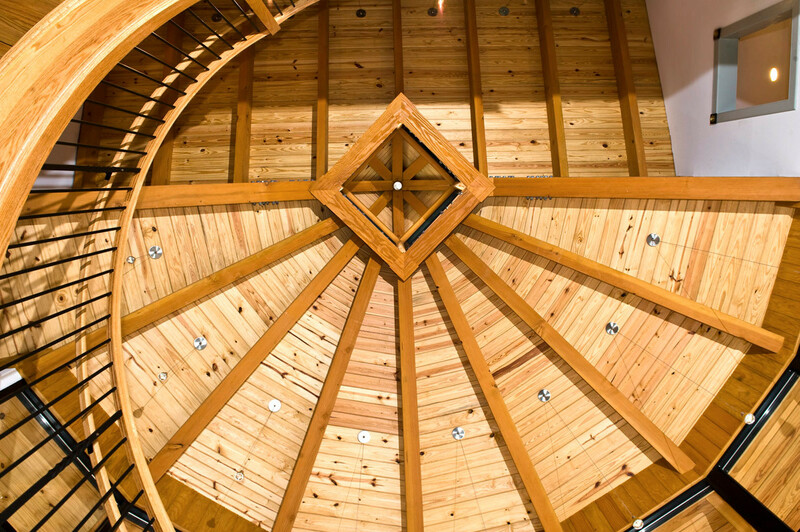 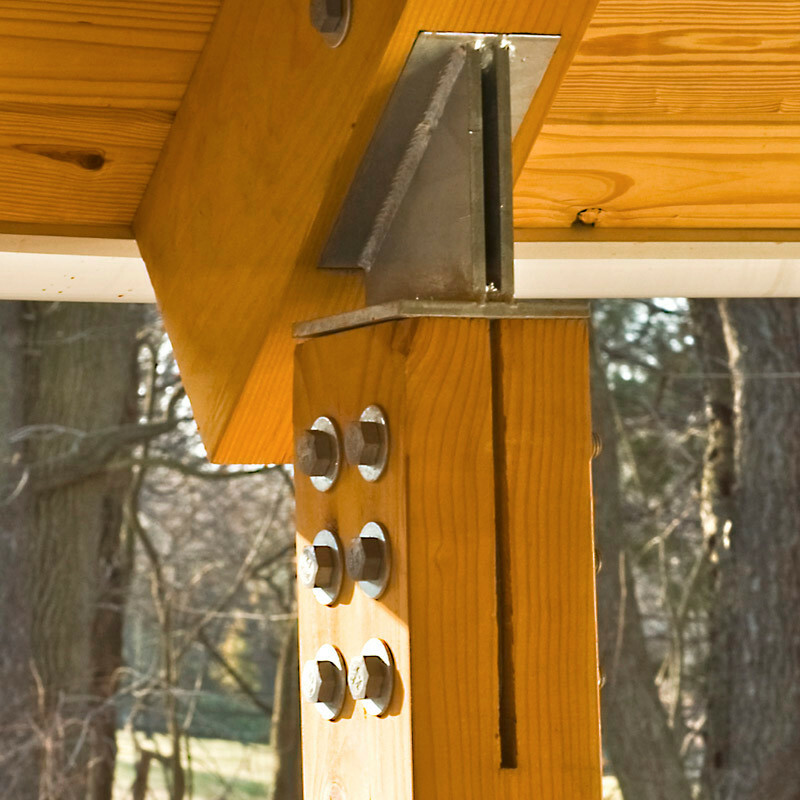 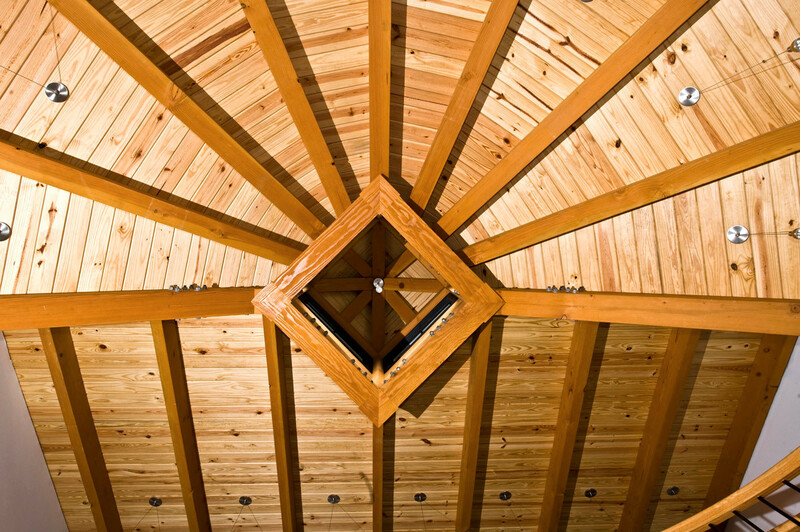 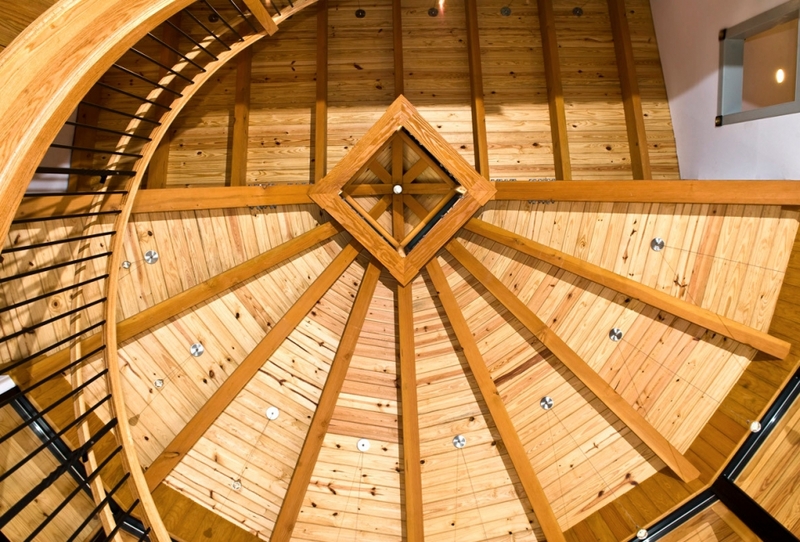 A Douglas Fir radius roof framing system and post-and-beam timber framing use abbreviated girder trusses to keep the area – and its cupola – column free. 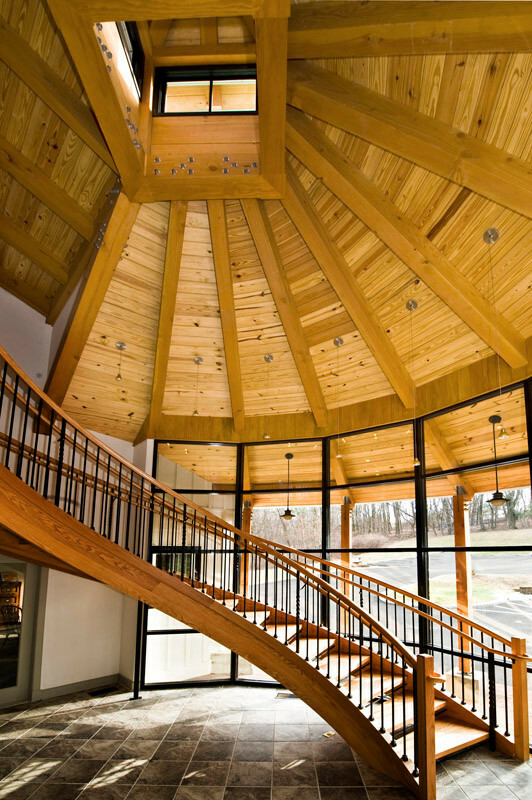 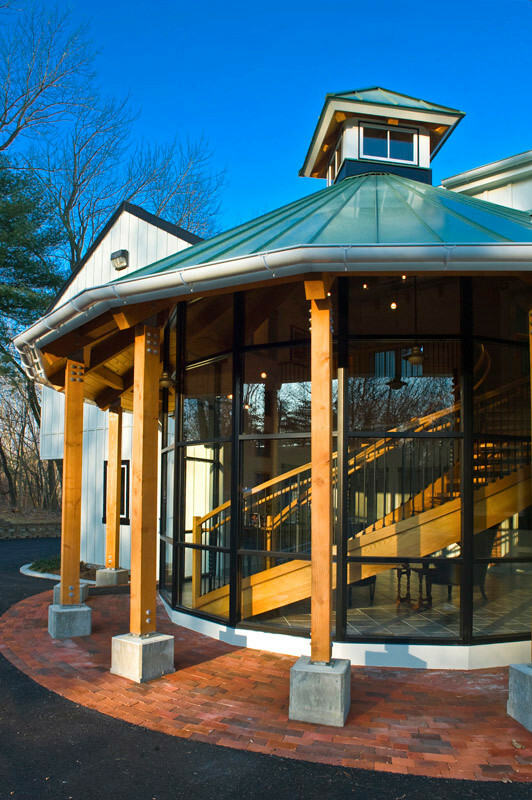 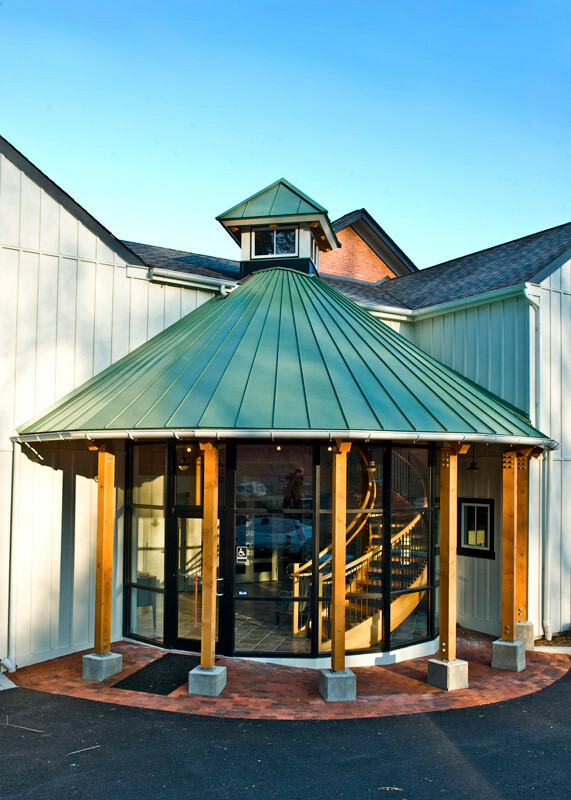 The unique shape of the timber-framed addition provides an inspiring setting for staff and clients alike.